As conflict in Syria and Iraq displaces thousands, NEF continues to address the protracted refugee crisis in Jordan and Lebanon. Humanitarian aid remains largely focused on immediate and short-term needs, providing little to no support for the long-term impact this crisis will have on affected communities. With an eye toward the future, NEF is providing solutions that will support both the displaced and affected host communities through inclusive opportunities that enable conflict-affected individuals to earn a living and build resilience against future shocks. In practice, this includes strengthening the capacity of both refugee and host communities to recover from crisis and emerge from poverty through business and economic development, employability training, vocational training, financial literacy and financial/start-up assistance, social networking, and on-going mentoring and coaching for new entrepreneurs. 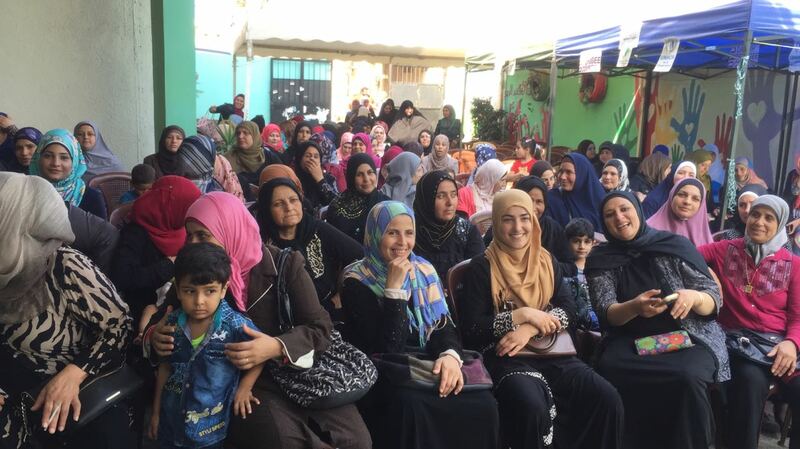 As both women and youth are known to be the most vulnerable during times of conflict, NEF’s work in both Jordan and Lebanon has a focus on adolescents and women headed households. NEF partners with local civil society organizations (CSOs) to provide these and other services at hubs known as Siraj Centers. In Arabic, the word “Siraj” means lantern—with the connotation of a beacon of light and hope. The aptly named centers offer individuals a safe environment to receive training, information, guidance, and coordinated referrals to other service providers. Recent activities in Jordan include multiple four-day business development trainings for 455 participants in four areas of Jordan—South Amman, East Amman, Irbid, and Zarqa. A total of 64 workshops have been held in these four locations since March of 2017. The goal of these trainings is to support business creation and income generation, which will positively contribute to the local economy. To establish a sustainable framework for continued livelihoods efforts supported by the local community, NEF held an “Ideation and Innovation” workshop to establish a network of local “Master Trainers.” In May, 24 Master Trainers (of Jordanian, Iraqi, and Syrian nationalities) received the necessary training to train others on how to transform their ideas into tangible businesses, perform strategic planning, implement best business practices, and monitor their business’ progress. Limited opportunities, isolation, and tension contribute to a sense of despair and hopelessness among refugees and poor Jordanians. To address this, NEF trained 334 adolescents (52 Iraqis, 79 Jordanians, and 203 Syrians) in financial literacy tailored toward supporting self-development through financial management skills. 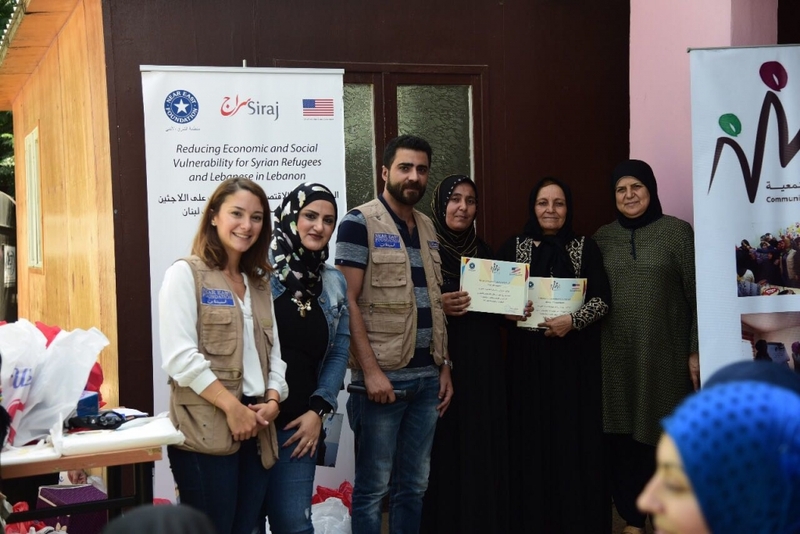 The training sessions also strive to contribute to social interaction and harmony between Jordanians and Iraqi and Syrian refugees, thereby promoting mutual respect and social cohesion. To date NEF’s efforts in Jordan have directly benefited 7,960 refugees and Jordanians and indirectly benefitted the lives of 39,800. 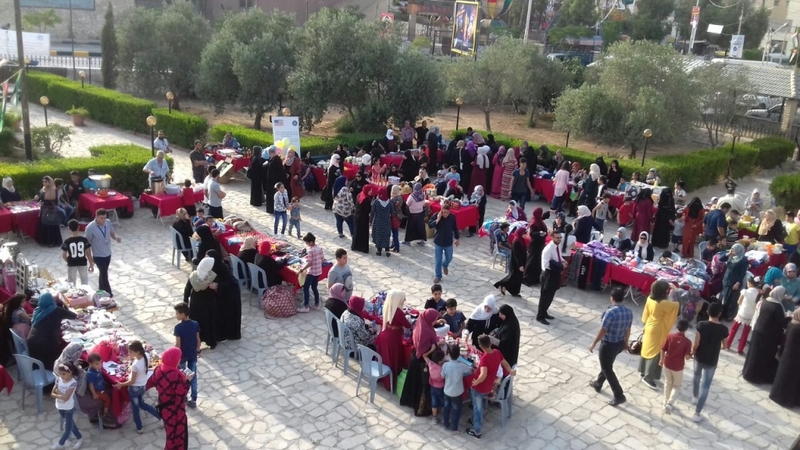 Last month, a bazaar was held in Zarqa where project participants had the opportunity to display and sell their products. NEF and its partners have conducted 43 business development trainings for over 1000 Lebanese and Syrian men and women. Additional training sessions covering life skills such as household budgeting and savings were also provided. 209 grant recipients have commenced business operations, either through providing services or selling products. Over 370 Lebanese and Syrians received vocational training (300 women, 70 men) related to the type of business plan they had selected. Vocational training topics spanned such industries as food production, tailoring, hairdressing, aesthetics and make-up, book keeping, handicrafts. NEF has helped to increase the capacity of 34 civil society organizations (CSOs) to provide high quality and expanded services. Staff members from each CSO are now able to conduct business development trainings, business coaching, business networking, as well as financial literacy training for adolescents. Additionally, CSO’s have improved their ability to respond to protection incidents and provide appropriate referrals. In May, NEF met with CSO staff members and volunteers to significantly improve and systemize the process of participant data collection and monitoring participant’s progress—this effort will make it possible for NEF and its partners determine the success rate of these services, and make adjustments for improvements as needed. To date, NEF’s efforts in Lebanon have directly benefited 3,050 refugees and Lebanese and indirectly benefitted the lives of 12,200. 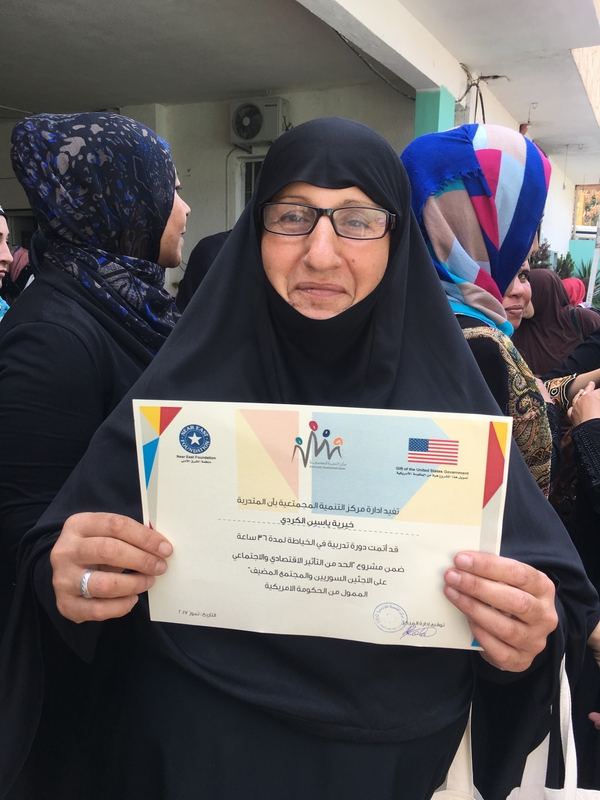 NEF’s work with displaced and host communities in Jordan and Lebanon is funded by the U.S. Agency for International Development’ Bureau of Populations, Refugees, and Migration (PRM), the Dodge Foundation, and City & Guilds Group.